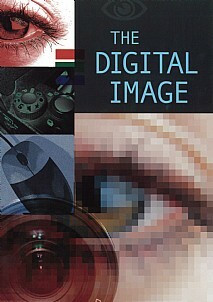 Since Digital Imaging was first published, numerous improvements and changes in resolution and quality of imaging have been made and this book includes the most up-to-date developments. With the increase in diversity of cameras and their consequent reduction in price, The Digital Image becomes an even more important book to guide readers through the terminology and developments. This new edition will therefore be the definitive handbook for digital imaging, enabling the reader to understand the technology, terms, relationships and to follow developments in this rapidly growing sector of imaging. Digital imagery offers much more than simply film by way of its versatility, manipulability and convenience of use, all of which are exemplified in this book. Introduction; Radiometry; Photometry and visual science; Fundamentals of imaging systems; Electrical properties of semiconductors; Digital cameras; Image processing; Digital printers; Digital imaging applications; Appendix A, Binary and ASCII codes; Appendix B, Fundamental constants and conversion of units; Appendix C, Manufacturers and agents, institutions and publications; Glossary; References; Index. All companies involved in imaging, publishing, mapping and remote sensing and related sectors. It will also be relevant for colleges and universities, particularly those that teach information technology, photography, media studies, electronics, physics and any subject that uses images as a data source.